Two starter kits for you, please tell me which one do you like better, if you have a chance to give a starter kit to your friend as the Christmas gift, which one do you prefer to? 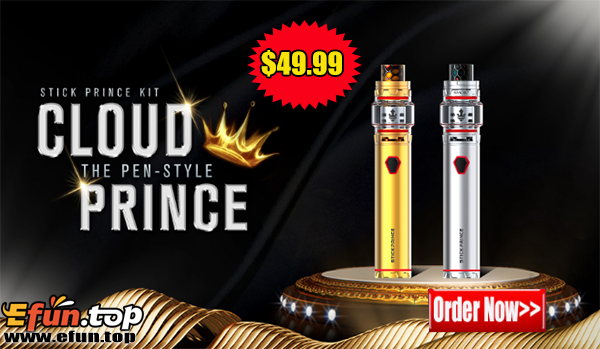 SMOK Stick Prince is a brand-new starter kit with a 3000mAh battery and TFV12 Prince Tank. The Stick Prince battery has a hexagon power button and an exquisite carved battery base, which offers great hand feel when using. Its large battery capacity ensures long time vaping and LED indicator tells you the specific conditions of itself. 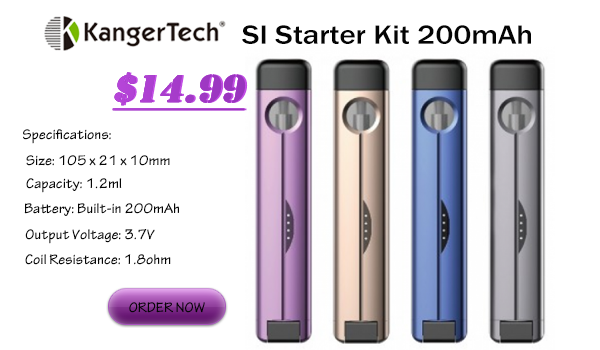 The KangerTech SI Kit is a super slim device! Its compact design provides a comfortable feeling in hands! The unique patent USB port makes charging more easier than before. It also adopts a 200mAh built-in battery and 1.2ml juice capacity. With 1.8ohm SS coil, it will definitely bring you a fresh and optimal vaping experience!